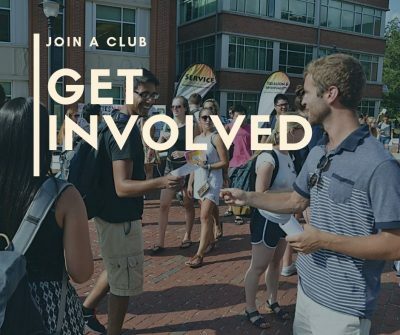 With over 600 student clubs at UConn, how on Earth do you find the perfect one for you? Do you only have to pick one? When I came to Storrs as a Freshman, I was completely intimidated by the Involvement Fair, the annual event held on Fairfield Way that brings together all of UConn’s student groups and organizations. I did some research beforehand and knew that I was looking out for clubs that would not only boost my resume, but be fun. College is supposed to be the best four years of your life, right? Joining a club is one way to make the most of your time at UConn. So, I’m obviously not going to tell you about all the clubs that are out there—but a little about the ones that I did eventually join. I hope this helps you find the right ones for you. I am a journalism major so I knew I wanted to do something related to my major. I write for my local paper back home so I knew something writing based would be good for me. I remember going into the fair and signing up for the Opinion section, but I wanted something that would challenge me more, so instead I decided to write for the News section. I have been with the News section ever since and I love it. I face new challenges every week. I have dealt with sensitive stories, time-crunchers, and light, happy pieces. I feel my writing gets better with every story I write. By the time I graduate, I will have a great deal of writing experience and build that ever-important portfolio. What I learned: There are clubs out there that can connect you more deeply to your major. And it’s OK to change your mind, if you find that what you initially signed up for isn’t the right fit. I have danced since I was three years old. I’ve done tap, jazz, ballet, and pointe, but tap has always been my favorite. I wanted to join a dance club that wasn’t stressful and I wanted to continue doing something I already knew I loved. During my freshman year, Tap Club allowed me to be a part of some very cool experiences like dancing at HuskyTHON, creating my own dance, and attending a master tap club in NYC. This year, I am on EBoard and I love the challenge of planning events and trying to help people become friends with one another. What I learned: Do something you love, and as a bonus, give back to the club by assuming a leadership role. You’ll be surprised at the leadership skills you’ll develop, and how much fun it will be. After my first semester, I got an email inviting me to join the First-Year honor society. In high school I was in National Honor Society, so I was beyond excited to join. Not only does the society seem very professional, but they also hold fun events. This year, I was a part of Pumpkinfest and found myself selling pumpkins and cactus on Fairfield way—something I wouldn’t have predicted I’d be doing as an Alpha Lambda Delta member. What I learned: If you get invited into a cool organization, say yes. Because you never know the unexpected places it could lead you! At the start of my sophomore year, I decided to join Ballroom Team with my friend from back home. We had danced at the same dance studio for 14 years but we were never dance partners. It was a perfect mix of new and old. It was also an excuse to do something with him since we have very different majors and I’d rarely see him otherwise. I think we’ve become closer friends because of our team experience. Ballroom dancing is very different from tap dancing, but I love the new opportunities. It is nice to have an actual dance class again and to see myself improving. I have the opportunity to compete, and although I haven’t done it this semester, I can’t wait. What I learned: Don’t be afraid to join something new, even after your first year. Sometimes, a new club could be that opportunity to make new friends—or to reconnect with old ones. Starting off the New Year is hectic, especially as a college student. After the New Year celebrations wear off, you begin to feel the excitement of starting the new semester and reconnecting with friends. For me, the New Year also ushers in my last semester as a college student. I want my last semester to encompass everything I’ve always wanted to do but never had the chance. It will be my last opportunity to take full advantage of everything UConn student life has to offer. Although my first resolution is in fact gym related, which can seem cliché, it is much more specific to the UConn community. I have always taken advantage of the Horsebarn Hill running routes; however, I have not used Bodywise as much as I would have liked. Bodywise is the UConn Rec Center’s program of free gym classes, which include spinning, HIIT classes, Yoga, etc. I can count on one hand how many I have taken, but I’d like that to change. Especially because the instructors are students as well, the classes are a perfect way to get a fun and motivating workout! Now that I’m in my last semester, I am more acutely aware of how much the Center for Career Development can do for someone like me trying to get their first full-time job. The CCD’s resources can help with cover letters and resumes, something that I want to perfect before applying to any positions. Also, I have recently learned that the CCD can connect me to alumni who work in my desired field to provide advice, through a program called the Husky Mentor Network. I’m so glad that I finally realized just how many benefits the CCD has to offer students as they prepare for their post-graduation life. UConn is known for its competitive sports atmosphere but, regrettably, I didn’t partake in as many of these games as I would have hoped. My first-year-self thought that I would be going to all of the basketball, football, baseball, and hockey games. Well, I let that girl down because I’ve only been to a handful of each in my time as a UConn student. Every time I’ve been to one of these sports games, I remember why I love being a Husky: I can feel the energy of the student body coming together. For my last semester, I want to be able to take part in as many UConn chants and nail-biters as I can, before I become an alumnus. Whether it’s squeezing in the last couple of basketball games or trying out new sports like lacrosse–whatever I can do to feel more of the Husky Pride. 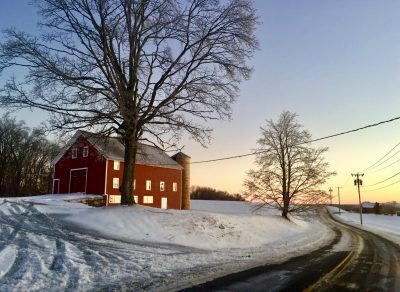 Although the sunset at Horsebarn Hill has always been on my UConn “bucket list,” I can’t believe I’ve gone three years without engaging in this breathtaking activity with my friends. The first, and notably only, time I have seen the sunset on Horsebarn Hill was accidental. I was actually there to visit the horses and cows. The view was stunning. Throughout my years here I heard many people say a small picnic with some friends and blankets is the perfect way to appreciate UConn and the beauty is it has to offer. However, if that doesn’t seem like the way to go for you, I know that every so often the Division of Student Affairs, or another group on campus, organizes Yoga on top of Horsebarn Hill during sunset. What a great way to relax and get some stretching in! The surrounding towns around the UConn campus have a lot of fun activities to offer contrary to what I had originally thought. It has taken me three and a half years to realize the beauty and accessibility of Mansfield Hollow State Park. It is roughly 20 minutes from Gampel, but it is well worth the drive. From fishing, hiking, or just taking in the peaceful water views, Mansfield Hollow State Park is the perfect place to get a breath of fresh air and as a college student, I know that sometimes that is exactly what we need! In addition, Mansfield has a drive-in movie theater with three movies playing at once. I definitely need to go back for another drive-in experience, especially since Mansfield Drive-in is one only a few movie theaters around and is considered one of America’s Most Classic Drive-in Movie Theaters. My New Year’s resolutions are all specific to Uconn and the community surrounding us. I remember when it felt like ‘forever’ before I would graduate; now, alumnus is a mere few months away. Where did the time go? As my time here comes to a close, I want to be able to say I made the most of my last semester, and I took full advantage of all that campus life has to offer. Whether you share some of these resolutions or you have your own, I hope they include finding time to make these last few weeks as a Husky undergrad the most memorable.